Use code TTS at checkout. Listening in its truest form. 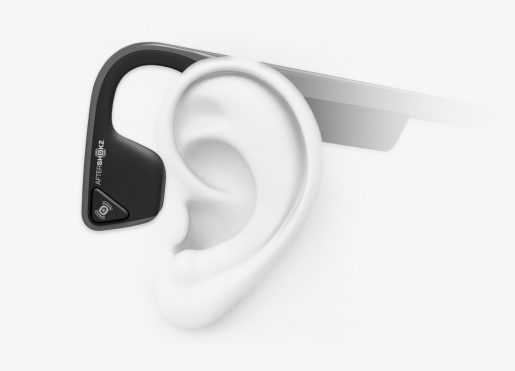 Trekz Titanium use bone conduction technology. They send mini vibrations through your cheekbones, directly to your inner ear, leaving your ear canals open! Engineered to deliver premium audio + awareness. The unique open ear design allows you to hear your music, podcasts and crystal clear calls without blocking out sounds of traffic on your commute or coworkers swinging by the office. So long, sore ears and earpiece adjustments! With nothing covering or blocking your ears, Trekz Titanium will keep you comfortable all day long and stay in place. Free your ears from fatigue and misfit earbuds. Trekz Titanium sport a wireless wraparound titanium band that loops behind the neck and hooks over the ears. We cut the wires to offer a listening experience so unnoticeable, you’ll forget you’re wearing them. Power on, pair, tuck away your device, and be on your way. Trekz Titanium offer play/pause/skip, voice dial and volume adjustment at the touch of a button for control on-the-go. Get for being a TTS listener! Not sure what size you need? Check out our sizing guide. © 2017 AfterShokz. All Rights Reserved.